Once you've added your Evidence, you can begin connecting it to Ideas and Discovery tasks. 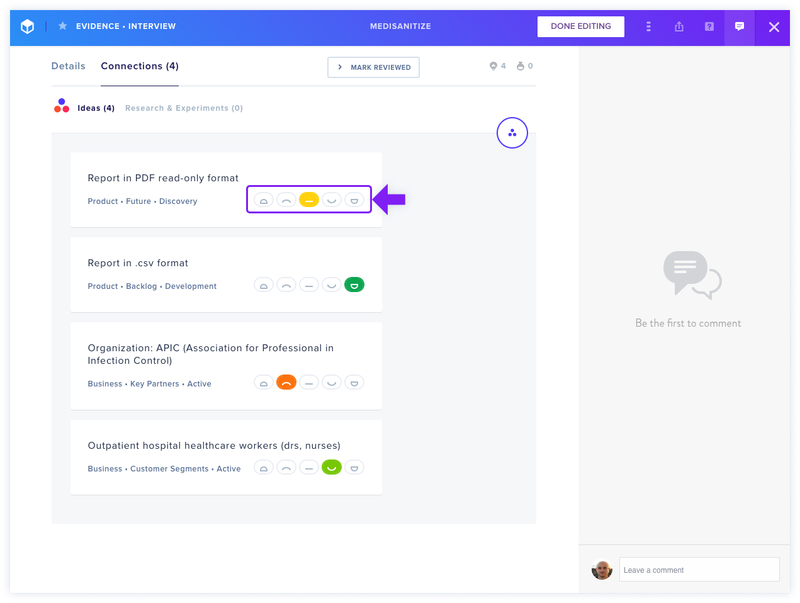 Doing so allows you to see which Ideas are connected to which items of Evidence, as well as how well the Evidence supports or doesn't support your Ideas. 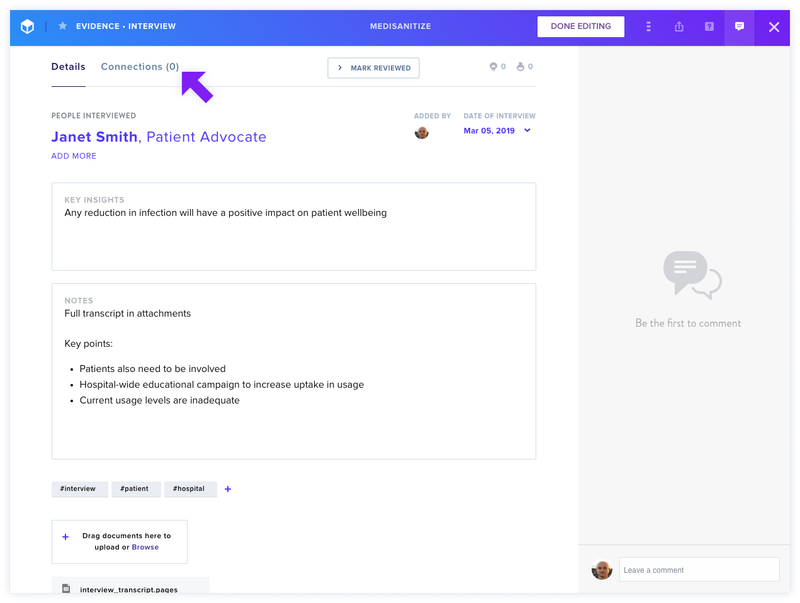 Clicking on the Connections tab from inside your Evidence will take you to a screen showing existing connections, as well as allowing you to connect new Ideas and Discovery tasks. 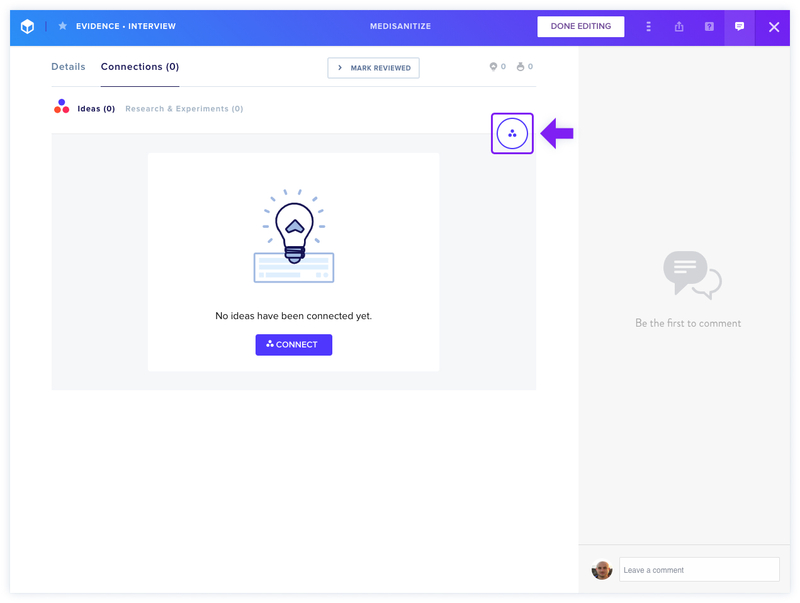 Any existing connections (if any) will appear here, while clicking on the Connect Evidence button will allow you to add or remove connections to Ideas or Discovery Tasks. Select the Ideas you would like to connect by clicking on them, or click on already selected Ideas to de-select them. You can also filter by Canvas Section or Result. 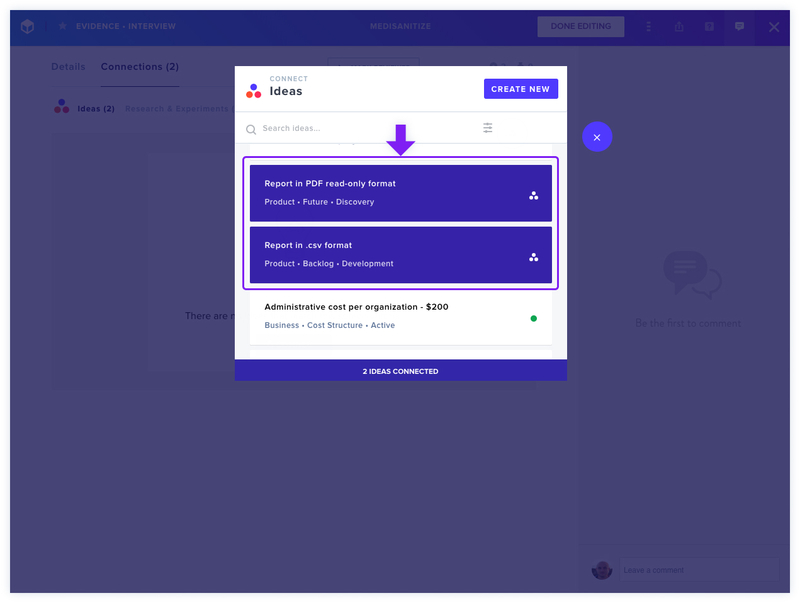 Finally, your connected Ideas will appear on screen, along with an option to rate your Idea on a scale from Disconfirming to Confirming. The scale relates to how well this individual piece of Evidence supports (or doesn't support) the Idea in the box. This becomes part of the Idea's Trending Score. In this case, it appears that the Interviewee's response strongly backed the Idea to report in .csv, but was neutral about PDF format.